Spend 12 days in one of the most incredible places on earth. 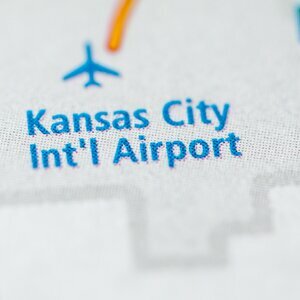 Fly from your home city to Louisville, KY and rest your eyes, as our journey is just beginning. 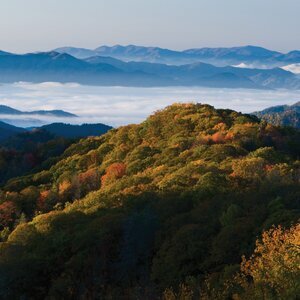 The Smoky Mountains, Pigeon Forge, Dollywood, yeah, we know, and there’s more! 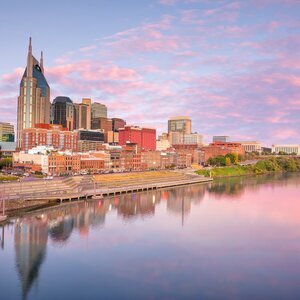 Venture to the capital of country music and enjoy the vibrant history and culture of Nashville! After a memorable evening at The Grand Ole Opry, we’ll head to the King’s quarters in Memphis, and take a Platinum tour of Graceland. Nope, we’re still not done! 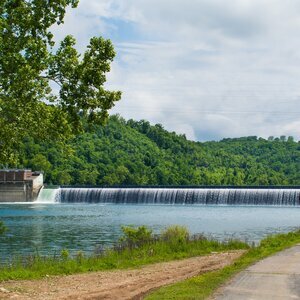 Time to make our way through the astonishing Ozark Mountains and into Branson, where we’ll spend four nights taking in some of the best entertainment the South has to offer! These are busy tours that feature a lot of moving around. 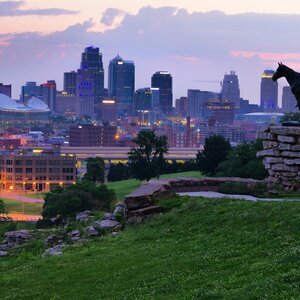 Walking tours of cities are leisurely but you should be prepared to be on your feet for several hours. May include walking on uneven surfaces and steps, including boarding the coach. 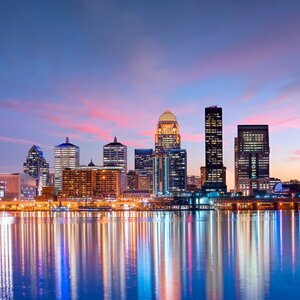 Today fly from your home city to Louisville. The transfer to the hotel is included. Fly passengers need to arrive at hotel by 7:00pm for their dinner to be included. 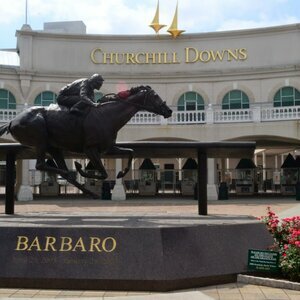 Our first stop will be at Churchill Downs for a visit to the Kentucky Derby Museum. 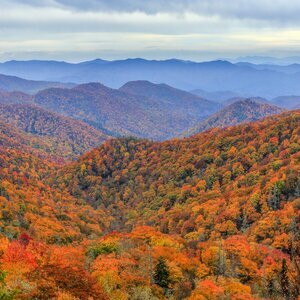 From there we pass through the Lexington Bluegrass Region and the Smoky Mountains on our way to Pigeon Forge, our home for the next two nights. This evening, we visit Dolly Parton’s Dixie Stampede for a unique dinner show. A fun-filled afternoon at Dollywood, where there’s music, shows, crafts, displays and Chasing Rainbows, Dolly’s very own museum. After dinner we’ll stay awhile to enjoy the 4 million or so lights throughout the park. If Nashville is the heart of country music, our venue this evening is its soul. 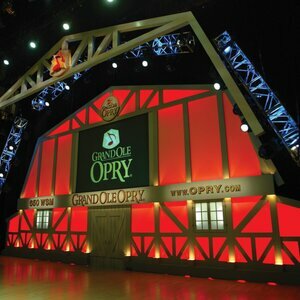 You’ve seen your favourite country artists perform here on TV, or heard them on the radio, and tonight you’ll see them live at The Grand Ole Opry at the Ryman. This will be an evening to remember! Today we will start with a City Tour. 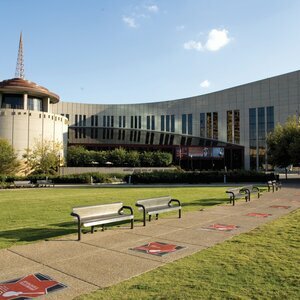 Later today we will visit the Country Music Hall of Fame. This museum is home to thousands of priceless artifacts, images, and sounds that have inspired young and old from around the globe. We will also visit RCA Studio B which is the oldest surviving recording studio in Nashville and one of the most famous studios in the world. This morning we make our way to Memphis and a fabulous "Elvis Experience Tour + Planes’ tour of Graceland, legendary home of The King, the late, great Elvis Presley. We make our way into the beautiful Ozark Mountains and our home for the next four nights, Branson. This morning we will see Raiding the Country Vault Morning Show. 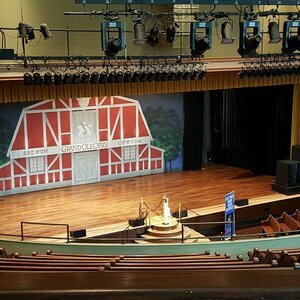 Raiding the Country Vault brings the history of country music to life, featuring classics by the biggest acts, including, Johnny Cash, Buck Owens, Conway Twitty, Merle Haggard, George Jones, Loretta Lynn, Dolly Parton, Glen Campbell, Waylon Jennings, Garth Brooks, George Strait, Brad Paisley, and many more. Raiding the Country Vault tells the story of country music from the 1960’s to the 2000’s and is performed by an all-star cast, many of whom have had their own chart-topping hits, have written major hits, or who have toured with the biggest names in the business. Today you will have a free afternoon for an optional show or some shopping. 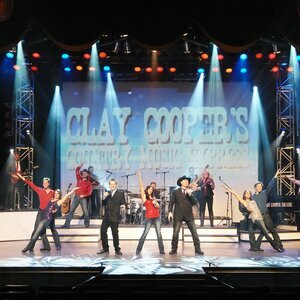 After dinner tonight, Clay Cooper’s Country Music Express Evening Show. Come see Clay Cooper and his Live Band, 10 Dancers, Trio – Third Power, and Comedian Matt Gumm! We also have outstanding youth entertainers Colton & Caden Cooper! This high-energy show is filled with singing, dancing, comedy, 24 entertainers on stage, great visual effects, and a variety of music – old and new country, rock, current hits and gospel! 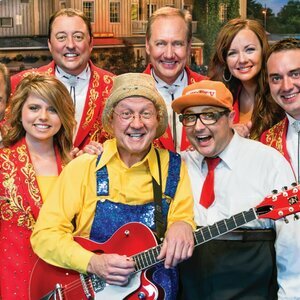 In November and December, Clay Cooper’s Country Express features an Ozark Mountain Christmas Celebration that has become a “MUST SEE” in Branson. Free morning. 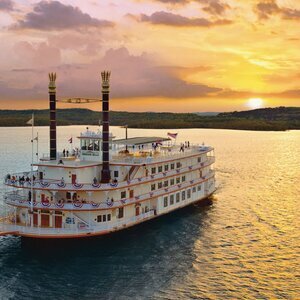 This afternoon we take a fabulous Dinner Cruise on the Showboat Branson Belle. The spectacular Christmas Show blends contemporary and traditional holiday melodies with magic, dance and hilarious comedy to create an unforgettable experience. Tonight’s show is the Million Dollar Quartet Evening Show. Featuring a treasure trove of the greatest rock 'n' roll, gospel, R&B and country hits. Million Dollar Quartet not only plays the music that made the Golden Age of Rock and Roll; it tells the stories of the men who created it. From the state-of-the-art lights and sound, authentic sets and costumes, and the incredibly talented cast who portray these legends, Million Dollar Quartet captures the infectious spirit and thrilling sounds of a singular moment in time, when four of the music industry's most extraordinary talents, all in their creative prime, came together for one of the most memorable nights in music history. Enjoy a free morning to catch up on some rest or take in an optional show. 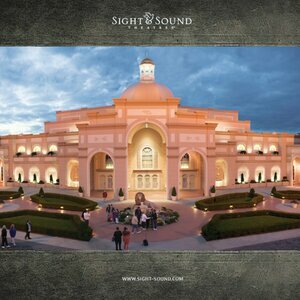 "Miracle of Christmas” at the Sight & Sound Theatre will be our afternoon show. The Miracle of Christmas brings the story of Christmas to life for you. The Sight & Sound Theatre is brilliantly decked out in holiday attire with lights, greenery, and a thirty-foot-tall Christmas tree. You will watch the story of Jesus the Messiah taking human form unfold on the stage. The story begins with the betrothal of Mary and Joseph in Nazareth and follows them through the trials they experience leading up to the birth of Jesus in a manger in Bethlehem. You will see how the townspeople of Nazareth come against them and the Roman rule of Herod and his soldiers threatens to destroy their way of life. The play is complete with live animals that have been trained and housed on-site. You will see camels, horses, sheep, parrots, and more during the play. After dinner tonight, The Presley’s Country Jubilee Show. The house lights go down, the stage lights come up, and the music begins. The smiles, applause, and laughs from the crowd increase by the minute, and nearly fifteen hundred tapping feet are keeping time to the music...these nights are the culmination of a dream that was decades in the making. Nearly 50 years after they started, the Presleys have kept doing what they do best. After all, it’s their type of music and style of show that laid the foundation for Branson’s ongoing success and growth. After all the non-stop excitement, it will be nice to sit back and relax as we start our journey home. 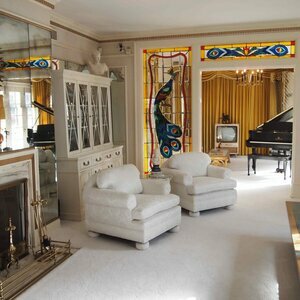 Graceland is an amazing cultural & historical experience. We will take you on the ultimate fan experience. Immerse yourself in everything that makes the Kentucky Derby a unique experience. Spend the afternoon at leisure taking in all that is Dolly Parton. 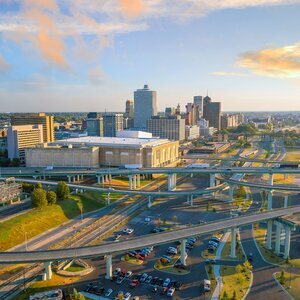 We will take to the streets to explore the must-see sites, culture and entertaiment the Country Music Capital of the World has to offer! Where Nashville got it’s sound. Step into Nashville’s musical Where Nashville got it’s sound. Step into Nashville’s musical heritage by exploring these creative interactive exhibits. 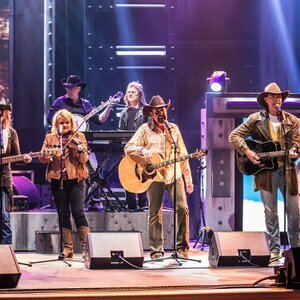 This show is considered the one that made country music famous and is a must-see for those visiting Branson. Enjoy an evening of good food, entertainment, and sightseeing aboard this authentic paddle wheel boat. 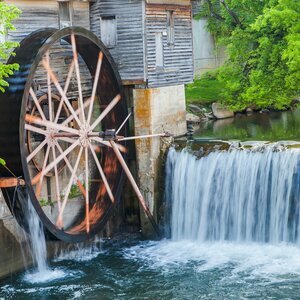 With 4 nights in Branson, 2 nights in Piegeon Forge & Nashville you will have plenty of time to enjoy these cities. This show brings the history of country music to life.